Classic 9" Stainless Steel Butterfly Knife. Riveted Steel Construction. Plain Edge Stainless Steel Blade. Handles Feature Safety Locking Mechanism. 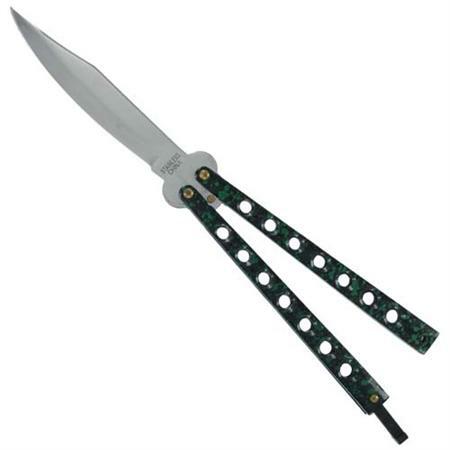 Overall Length: 9" Blade Length: 4"